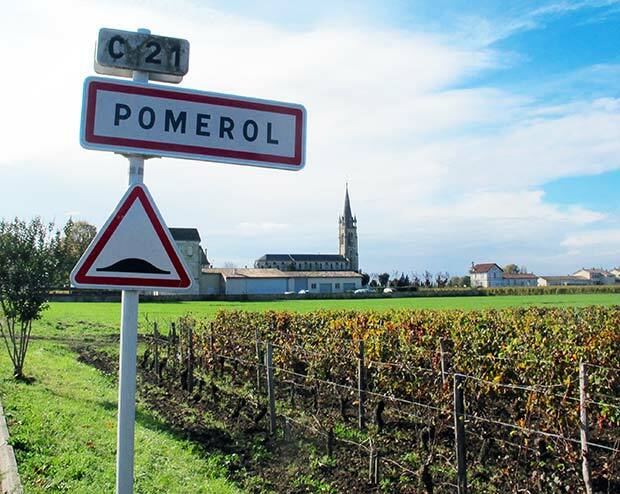 Natural wines are something of a rarity in Côte-Rôtie. Those of Jean-Michel Stephan are therefore exceptional, characterized both by their purity and an admirable freshness. They delighted us with their unique character. 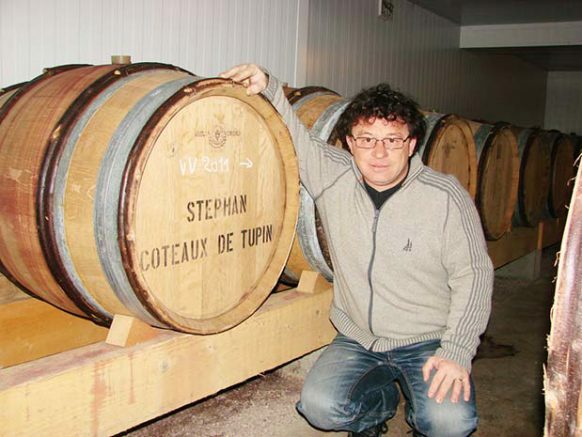 In 1991, Jean-Michel Stephan decided to establish his domain in Tupin-Semons (AOC Côte-Rôtie), about 40 km south of Lyon. At that time, he was still very young and had just graduated from an agricultural college in the Beaujolais region. 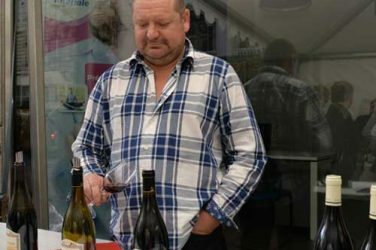 He worked for Domaine des Terres Dorées, owned by Jean-Paul Brun (Beaujolais), which was a great experience for him. 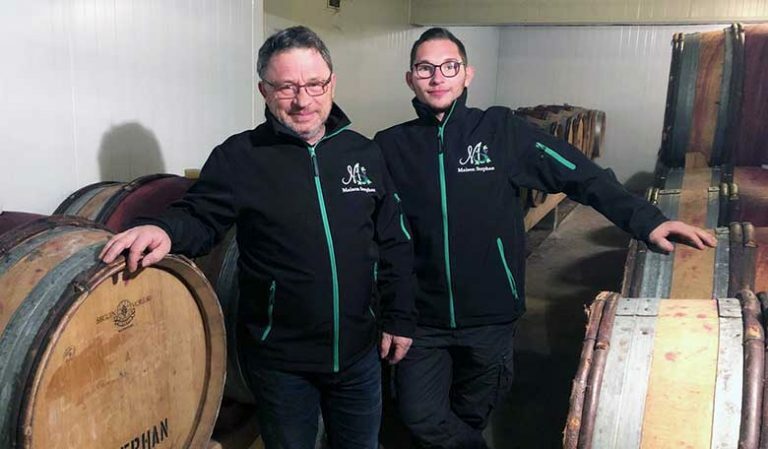 Son of a tree surgeon, he has been passionate about viticulture for many years: he planted one hectare of vines with his father at the age of 14. In 1991, he began by taking over 3 hectares of vines, including some very old vines. He replanted Syrah, and in 1994 he started making wine. From the beginning, he opted for a very natural approach in the vineyards and cellars. He only uses organic fertilizers and never any synthetic products. The new vines follow a massal clonal selection of Serine. The domain is currently converting to organic and is inspired by biodynamics, for instance he follows the lunar calendar for the different developmental stages of the vines. The vines, on hillsides, are south/south-east-facing. On some plots, work can only be done with a horse or by foot. Today the vineyard covers 4.5 hectares. The largest plot (1.5 hectares) on the slopes of Bassenon is composed of terraces of granite and gneiss. The other plots are located on the Coteaux de Tupin, Les Bercheries and Verenay. Some vines reach 120 years old. In the cellar, he has not added any sulfites since 1997, after meeting Yvon Métras and Marcel Lapierre. Fermentations are carried out with indigenous yeasts and everything is done in the most natural way possible. The wines undergo carbonic maceration, which means they retain the freshness of the fruit. Extractions are very gentle, done at low temperatures with no punching down. 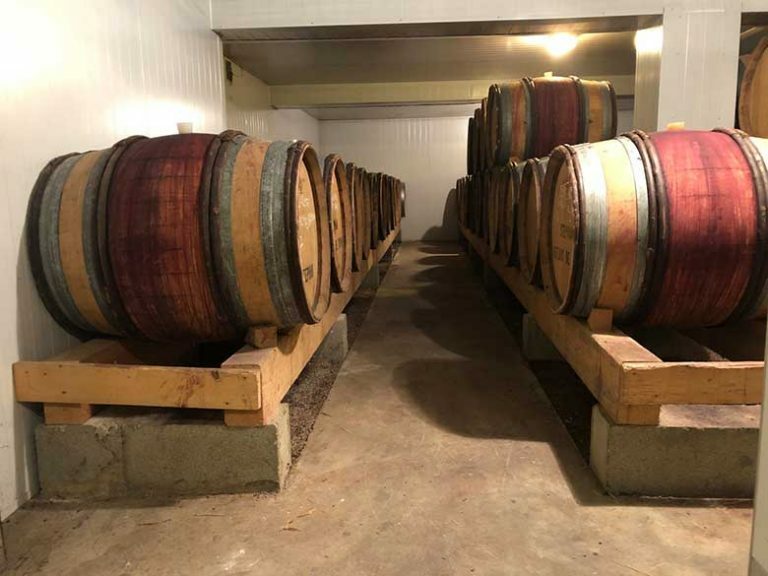 Aging takes between 12 and 24 months depending on the cuvées and is done in old barrels, already used for several wines. The wines are neither fined nor filtered. The nose gives off red fruit aromas (cherry, blackcurrant), peppery and menthol notes as well as more animal notes. The attack is tonic and smooth, with a nice freshness. The same aromas as for the nose are present on the palate. The very pleasant nose shows a beautiful aromatic intensity, with diverse aromas of blackcurrant and blackberry, but also sweet spices (cinnamon, licorice), as well as subtle oaked notes. The mouthfeel is fine and elegant, with fruits and silky tannins. This wine, made from delimited Côte-Rôtie parcels, is aged in barrels for 24 months. The nose presents aromas of violets, blackcurrants and pepper. The mouthfeel is fine and delicate, tannins are coated, and the finish is very long and sapid. 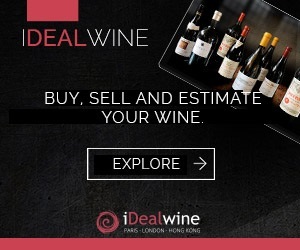 This 100% serine wine, made from a strict selection of parcels, has a pure aftertaste. The nose is very expressive, with typical Syrah aromas, like red fruit, animal and violet. The palate gives a nice freshness, straight and stretched with a long, fruity and peppery finish. 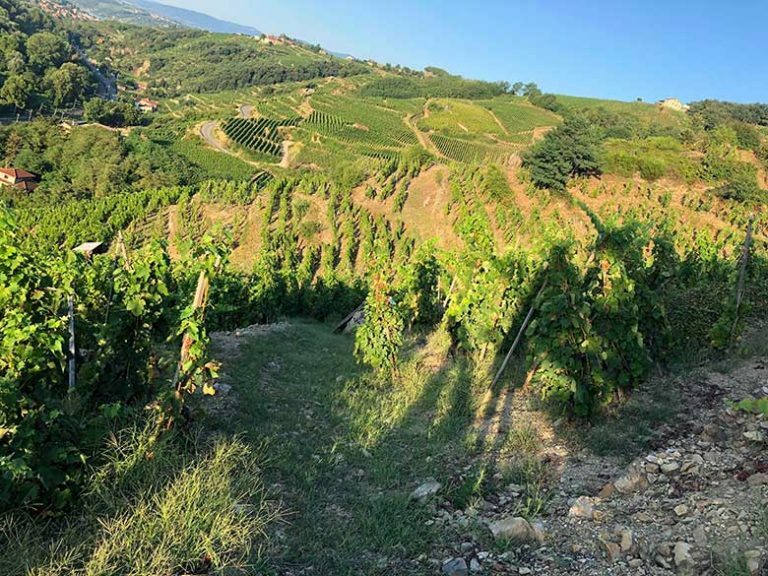 Jean-Michel Stephan, a young winemaker who learned the ropes with Jean-Paul Brun (Domaine des Terres Dorées, in Beaujolais), acquired very fine Côte-Rôtie vines, from where he produces wines that immediately became well-known for this appellation. 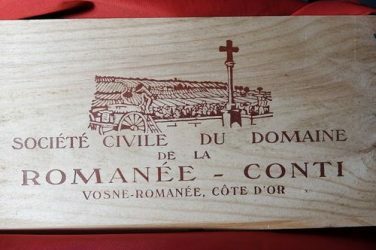 The generic Côte-Rôtie cuvée is very pleasant, even young: it is partially produced by way of carbonic maceration, which gives it fruitiness and freshness that does not hide the terroir. The most ambitious cuvée, En Coteaux Vieilles Vignes (traditionally vinified), comes from serine, the original variety of Côte-Rôtie Syrah, and has a rare sap and character. The wines: Côte-Rôtie Cuvée de Tupin, vinified without sulfur and aged for 24 months in oak barrels, is a symbol of purity and elegance in the 2002 vintage. The wine is irresistibly delicious. The other cuvée has a more simple expression. Hot news from the vineyard. The famous Domaine de la Romanée-Conti leases a parcel of Corton-Charlemagne, adding another grand cru to its impressive portfolio.